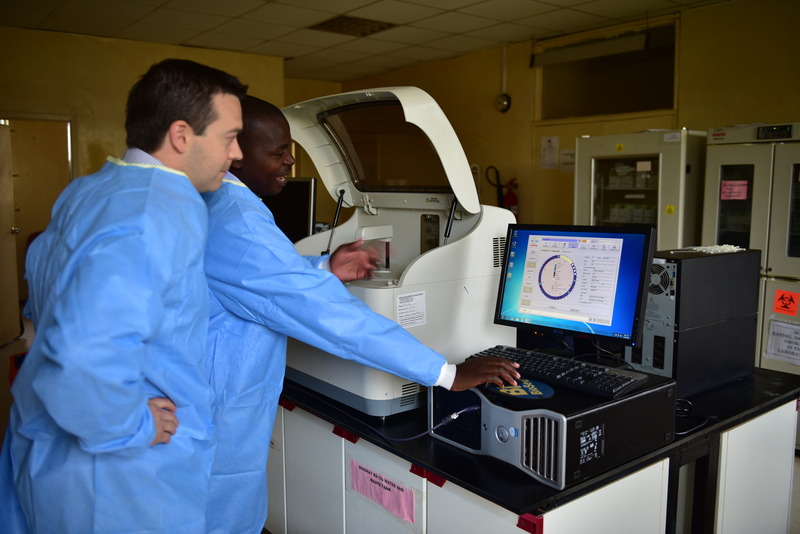 Mr Masters Chisale (Mzuzu Central Hospital) and Dr Chris Watson (Queens Universty Belfast) preparing the samples in Mzuzu Central Hospital. The last week has been very busy in Mzuzu, northern Malawi. Scientists there have been packing blood and urine samples collected from 506 children with pneumonia in preparation for shipment to Dublin, Ireland. These samples will travel 12,000km at -80oC with constant monitoring of their temperature and dry ice being packed around them at stops along the journey to ensure they remain frozen in the warm heat of Africa as they travel across the African and European continents. 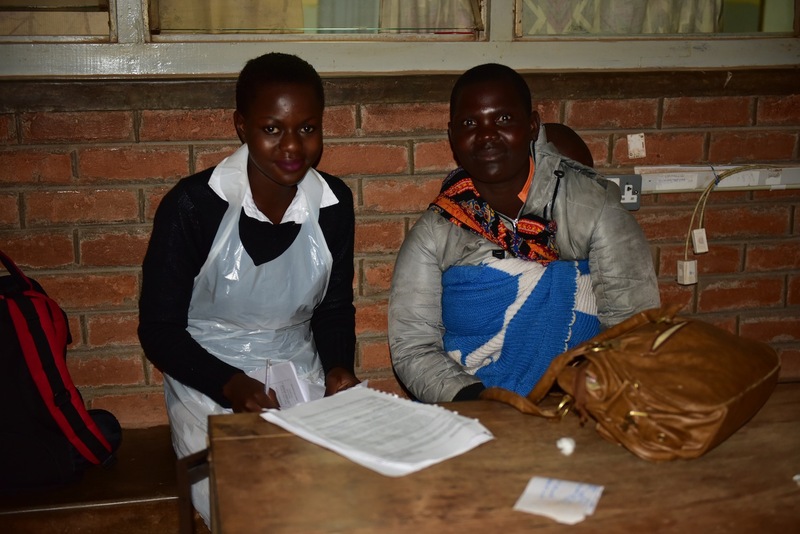 Over the past twelve months the researchers from the gHealth Research group based in University College Dublin, Queens University Belfast & Imperial College London have been working with colleagues in Malawi to collect these samples. The BIOTOPE (BIOmarkers TO diagnose PnEumonia) project is an innovative project which received funding from the Gates Foundation Grand Challenges Exploration Fund to investigate new ways to diagnose bacterial and severe pneumonia in the community. 506 children have participated in the research and as part of this, blood and urine samples have been collected and are now being shipped to Ireland for detailed analysis along with novel data from sensors and mobile phone applications monitoring the children’s health. With this approach, new ways to help stop the million children dying each year from pneumonia are being developed along with approaches that will help reduce antibiotic resistance both in Africa and internationally. Pneumonia continues to be the number one infectious killer of children under the age of 5 years worldwide – more than HIV, TB, Zika, Ebola and malaria combined. People of any age in any country are at risk of contracting pneumonia but the vast majority (>90%) of childhood deaths from pneumonia occur in poor countries. 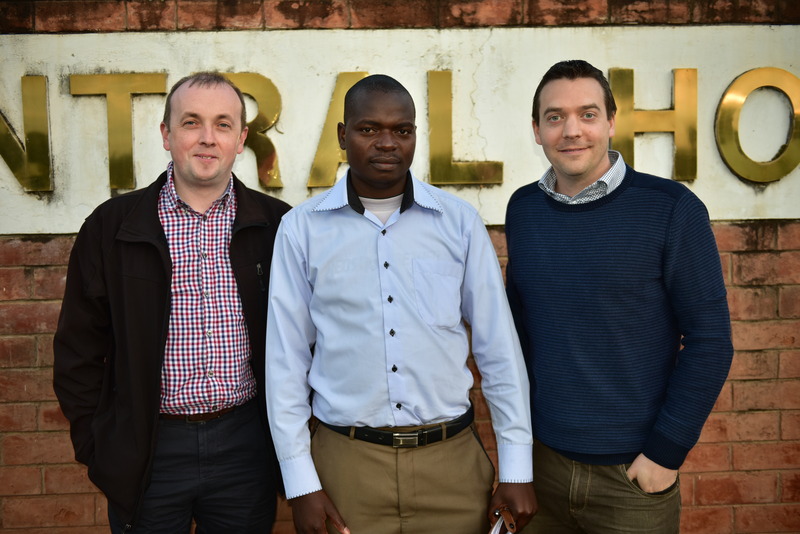 Dr Joe Gallagher (UCD/ICL) with Mr Masters Chisale (Mzuzu Central Hospital) and Dr Chris Watson (Queens Universty Belfast). A biomarker is a naturally occurring molecule, gene, or characteristic by which a particular disease can be identified. An ideal biomarker for pneumonia would allow an early diagnosis of the condition and its severity and identify whether it is caused by bacteria or viruses. BIOTOPE is looking at the response of the body’s immune system to infection to help identify bacterial and severe pneumonia. Using the samples shipped back to Ireland Dr Chris Watson and his team will screen the samples using an –omics approach involving proteomics, metabolomics and microRNAs which will identify which children would benefit from antibiotics. Dr Joe Gallagher, Honorary Lecturer in Primary Care at ICL and Dr John O Donoghue Senior Lecturer in eHealth and Deputy Director of the Global eHealth Unit in ICL will use the clinical data collected on the symptom and examination findings as well as the sensor data to find ways to identify the most severely ill children. Combining these datasets will allow the creation of new tools that can be deployed on mobile phones in Africa to help diagnose childhood pneumonia and reduce antibiotic resistance. The researchers hope to develop similar studies in Europe to help children here also. Malawan nurse consulting with the mother of the BioTope participant before BIOTOPE screening. The potential for developing novel and innovative tools stemming from BIOTOPE is real and will aid clinicians working in Malawi and in other developing countries but also have the potential to be of relevance in high income countries where antibiotic resistance is a growing problem, which is a prime example of reverse innovation in practice.